The story I am telling is based mainly on what my mother wrote some time ago for her children and siblings about the family history. 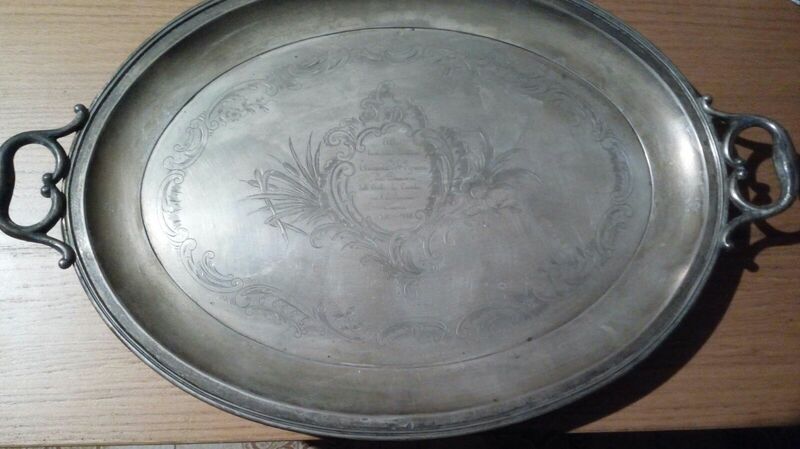 Then an uncle’s story was added, and recently a box of documents was found by my sister. Thus I, my sister and two cousins are attempting to construct a complete version, but that needs a lot of time, because we live far apart and we have different ideas. For now I am offering what I and my sister have collected. It’s right to warn that, as you know, there isn’t always complete agreement between the documents. Furthermore quite often the writer had their own point of view and at times is reporting information received from others. So with these limitations, and sometimes doubts, here is the story of Augusta Schiff and her descendants. The story starts in Milan, soon after 1860, when Samson’s family left Trieste and moved here. The Schiffs often opened their salon to guests, a salon which is said to have been frequented by intellectuals, often with liberal ideas, sometimes even masonic. A member of the family who stands out is definitely Paolina, then in her twenties, with startling red hair and beautiful hands. (For many years afterwards her niece kept a plaster cast of her delicate small hand.) Paolina was probably inspired by the discussions and ideas that were current at those events for her romance ‘The Refugee’. The hero, after his involvement in the events of 1848, disappointed by their failure, goes and dies for Greek independence, like Santorre di Santarosa. Paolina was accustomed to making almond biscuits with her own hands for the guests, and was courted, even though she probably didn’t marry (though there is some doubt concerning her niece Aliverti, given the task of executing her final wishes). Giovanni and his older brother Grazioso had set up a workshop of some importance in their native city and had won competitions, and were having some success in the creation of monumental tombs in Verona’s Monumental cemetery, which was very much in vogue in those days. However, politically they were both convinced supporters of Mazzini. 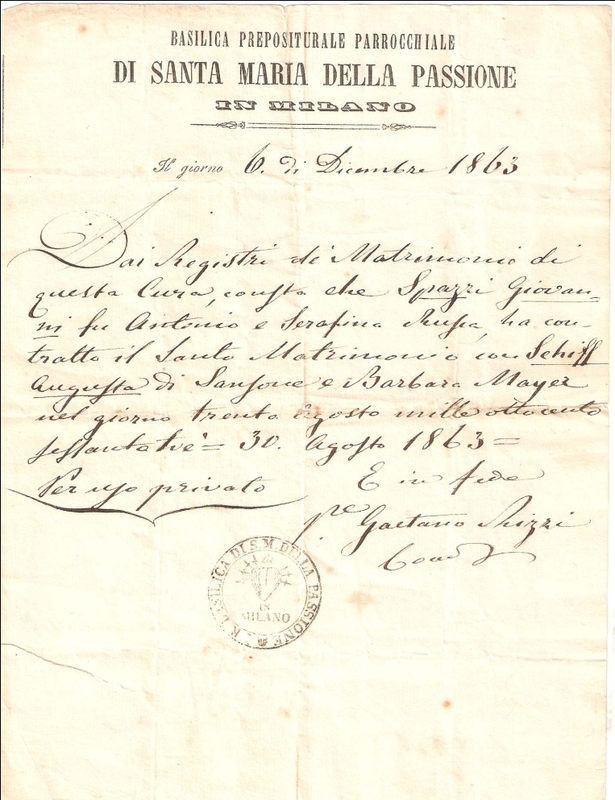 After the 1859 War of Independence the Austrians were little inclined to tolerate ‘subversives’ and thus Giovanni was exiled and went to Milan, and ended up meeting Augusta. The conclusion was that on 30th August 1863 the two were married in a Catholic ceremony. 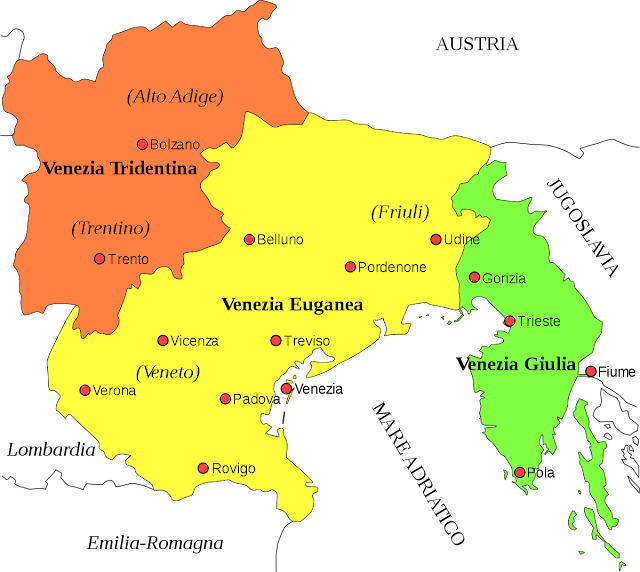 However the Mazzinians, who wanted a republic and not a monarchy, were not happy with the new kingdom of Italy. 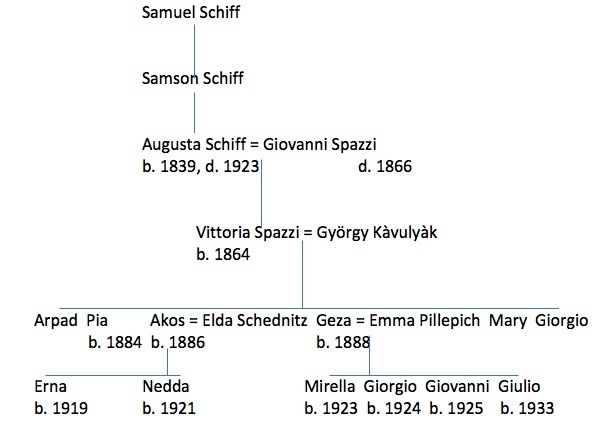 Eventually the young Spazzi-Schiff family had to leave Milan too and went to live at Desenzano del Garda where, on 13th december 1864, their daughter Vittoria was born. 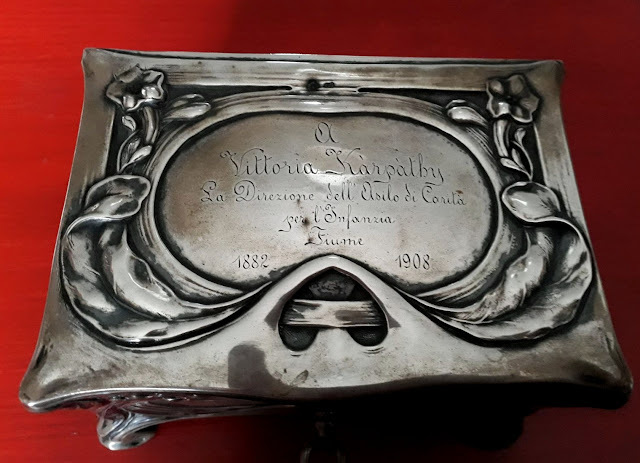 Unfortunately their joy was short-lived, because on 1st January 1866, having somehow returned to Verona, Giovanni fell ill and died, leaving a widow with a young child and with no financial resources. 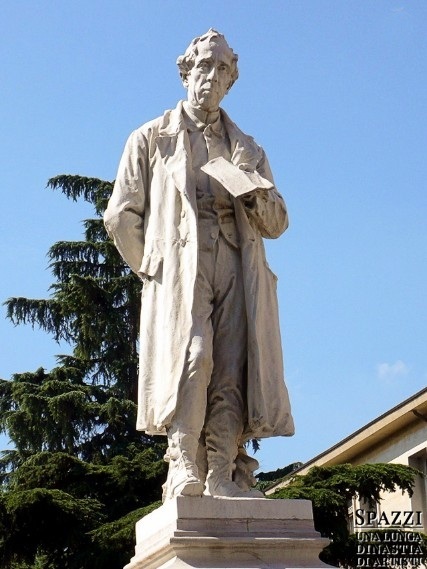 His brother Grazioso tried in vain to persuade the Verona city authorities to purchase a statue of Sammicheli made by Giovanni, in order to help Augusta and Vittoria. Eventually it was their Mazzinian friends, followers of Young Europe, who found a work opportunity for Augusta, even though unusual and in a distant town: Head of the Charity Children’s Nursery in Fiume. Augusta showed herself to be brave and determined and accepted the challenge of this adventure, as a woman alone and with a daughter, in a town where she had no relations to give her some support. I have asked myself why she did not turn to her family, why didn’t she ask her father for his help. Even if it did happen it has left no record. It’s also possible that marrying outside the Jewish faith, with somebody considered unreliable because of the uncertain nature of his work and his political ideas would have rendered difficult her relationship with Samson. But I think that that plaster cast of Paolina’s hand that Augusta still kept many years later suggests that the sisters kept in touch. Unfortunately Paolina’s archive was burnt in the bombing of the Sforza Castle in Milan where it had been deposited. Perhaps it did not include her private correspondence, whilst nothing remains of Vittoria’s. Thus there are things that we shall probably never know. Before I carry on with the story I should say a few words about Fiume and the Charity Nursery. Undoubtedly Fiume has always been an unusual town. It has been a protected port for centuries where goods moved from the northern Balkans to the Adriatic and Mediterranean. Never linked with Venice, it always came under the kingdom of Croatia, but the Austrian empire assigned it instead to Hungary, as its outlet to the sea. Italian was always the language of the majority of its inhabitants, or rather a local variant of the Venetian dialect. Trade, however, created a community of varied ethnicities and faiths: Catholics, Protestants, Orthodox, Jews, Muslims. It was a truly multiethnic city and above tolerant and respectful of diversity. However, despite the benefits that accrued from commerce, the majority of the population only benefitted marginally. 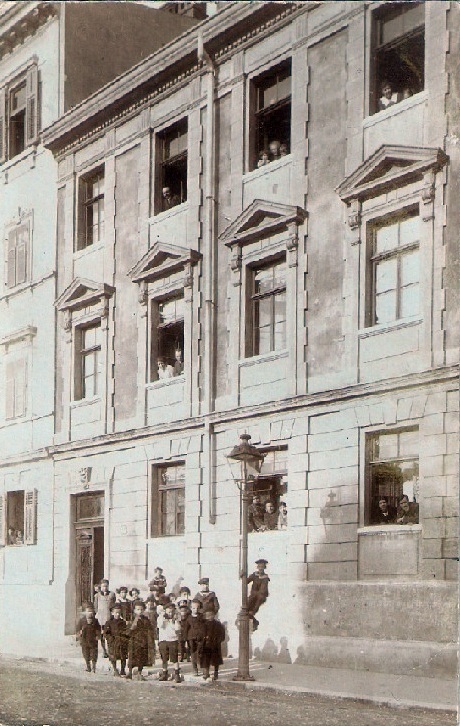 In 1841 Csapò, wife of the newly appointed Hungarian governor, struck by the harsh conditions in which many children lived, had established in a portion of a noble palazzo in the centre a day nursery for thirty young children, who could dine there thrice daily and stay until the evening, a sort of day nursery. It was here that Augusta started working, earning appreciation and recognition for what she did for young children. 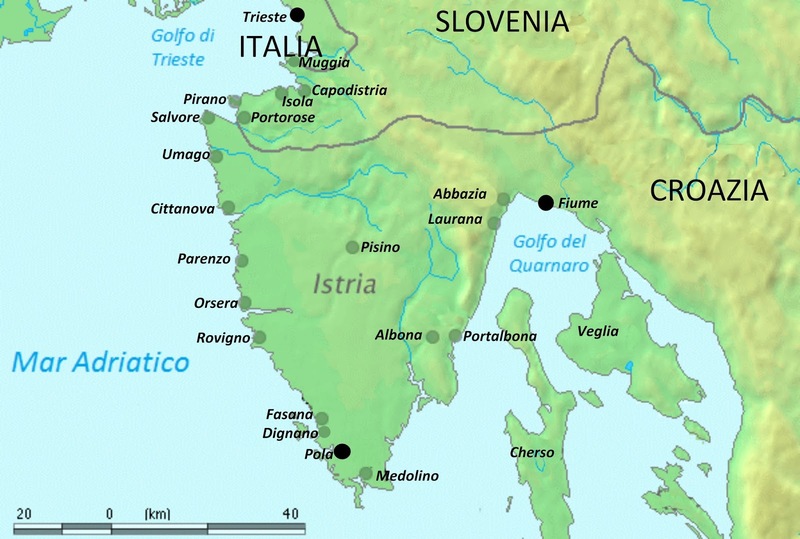 An Italian map of Istria, which became Italian between the wars, though the coastal towns had long been Italian speaking. Fiume is now known as Rijeka. Augusta valued education highly, and ensured that her daughter grew up knowing both Italian and German well, and that she studied classical literature. She even did this when she went to the park, sitting on the park seats and reading Dante’s Divine Comedy, even though she was only fifteen years old. Certainly a girl of that age reading Dante in the park could not pass unobserved by a teacher. In fact that was how György Kavulyàk, a Slovak senior teacher, met her. Perhaps this means that Augusta went back to her family, underwent training as a nursery teacher and then, having qualified, found her post at Fiume. 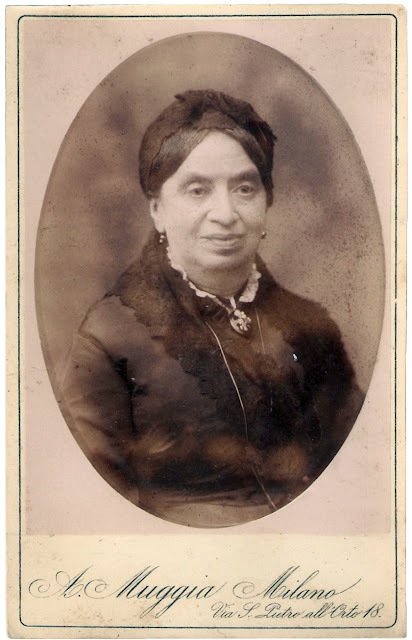 It’s only a hypothesis, but could explain why there are two photographs of Augusta taken in Milan, one taken when she was older, perhaps when she returned to see her father and sisters. In my haste today I have made another mistake: the date of the meeting between Giorgio and Vittoria was 1879, when she was fifteen. I don’t know why I’ve mixed up the date of her birth with the death of her father. It means it changes also her age when she started work in the nursery in Fiume: she was 19, not 17, as I wrote lower down. 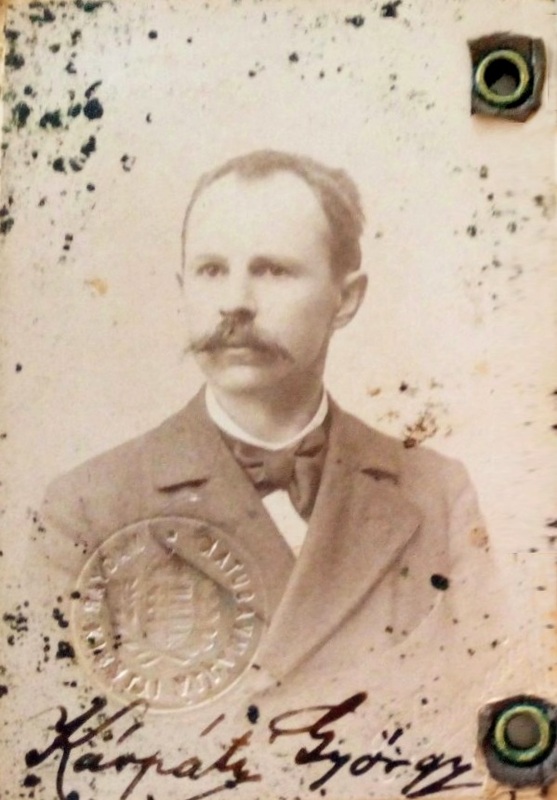 György Kavulyàk was born in Ustie nad Labom (on the Elbe), then in Slovakia, and now in the Czech Republic, in about 1850. Most likely at that time the official language in that zone was Hungarian, which became effectively his mother tongue. After becoming a teacher he was moved to Fiume. However, given that he had to teach Italian, he was sent for a time to Tuscany to learn it better. He did this so well that in 1887 he even wrote an Italian-Hungarian dictionary. He greatly enjoyed philosophy and he also wrote some papers on that subject. But let’s go back to that meeting in the park in 1879, when he saw Vittoria engaged with Dante. Despite the great difference in age (he about thirty, she only 15). Their literary and cultural interests led to them seeing each other and a year later, in 1881, they married. We can imagine the sigh of relief of her mother Augusta to see her daughter set up with a promising schoolmaster. The next step was obviously children, and Hungarian names were given to the boys. However the firstborn, Arpad, died soon after birth. 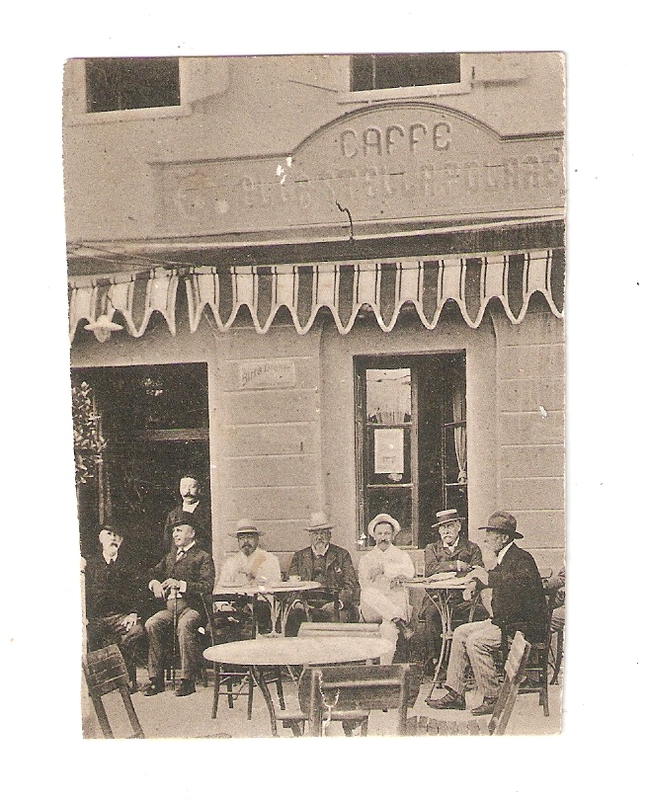 Then came Pia in 1884, Akos in 1886, Geza in 1888, Maria, known as Mary, and Giorgio, known as Gino. While György was busy with his work and study, Vittoria had learned from her mother how to carefully manage the household, thanks to the vicissitudes she had experienced. It was she who controlled the finances and very often decided how and how much to spend. This was something that marked her relationship with her sons and daughters in law. It has to be said that the family was large, considering that her mother Augusta also continued to live with her daughter. Even if Vittoria worked at the nursery with her mother, as we recently discovered, the salary was low. György’s was decent, as he had become a sort of internal coordinator, but eight people is a lot. But Vittoria saved hard especially as she had to important aims: to get all her children into education, and to buy a house to live peacefully with her family. We shall see that she achieved both. Pia studied to become a teacher, Akos enrolled at the university to study engineering, Geza was sent to a free college in Romania for the children of state employees and then to the law and politics faculty, whilst Mary studied to become a doctor. Giorgio unfortunately died when he was about twenty from peritonitis, in great pain, leaving a lasting impression on his brothers and sisters. The only one to partly avoid further studies was Geza, who decided in 1908 to enrol in the police in Fiume. In the meantime the family had changed its name, assuming the more Hungarian Kàrpàthy. 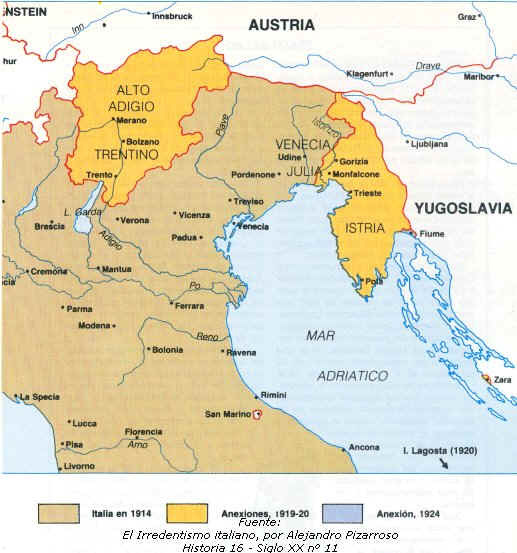 When Austria declared war on Serbia in 1914, young men were also sent to the front from Fiume, obviously not the Italian one, given that many spoke that language, but far away, towards the eastern borders of the empire. However that wasn’t a warlike population, unlike the Bosnians and Croats. Thus it was that people increasingly began to wonder if it would not be better to be with Italy. Akos became an engineer and worked in the naval shipyards, which is why he was not called up to fight. Geza too, as a policeman stayed home. But in 1918, when a sham plot was used to blame young pro-Italians, he refused to arrest innocent people. For this he was demoted and sent to the front, though only for a few months, as the war ended in November and the Austrians and Hungarians quickly left Fiume. When Geza came back he was disappointed and demotivated. He started drinking, and ran up debts, living with friends in a seaside villa, worrying his father György and his mother Vittoria, who didn’t know what to do. At that time Fiume had become an even more individual place. Fought over by Italy and what would become Yugoslavia, it was controlled by Italian, French and English soldiers. But whilst they could not make up their minds, Gabriele D’Annunzio, poet, patriot and a remarkable individual, took charge of several former Italian soldiers and after a seventy kilometre march entered the city in triumph, whilst the other troops left without causing any difficulties. Whilst waiting for the great powers to make up their minds D’Annunzio declared the city’s independence and granted it innovative laws, such as universal suffrage, fair wages, free education, old age pensions, equality regardless of gender, race or religion, and even divorce — many Italians adopted Fiume citizenship purely to leave their wives, including the Nobel prize winner Guglielmo Marconi. Lenin declared that D’Annunzio was the only person who could bring about a communist revolution in Italy, and Fiume was the first ‘state’ to recognise the Union of Soviet Socialist Republics. It was too far. After three years of unsuccessful negotiations, in two months Italia and Yugoslavia agreed on how to share the city. D’Annunzio and his legionaries were expelled, and Fiume soon passed under Italian control, except for the Croat zone which went to Yugoslavia. At that time of enthusiasm and passions, gatherings and proclamations, Geza stood aside, until such time that a girl arrived at the villa, the sister of his best friend’s wife, the friend too being dedicated at that time to living the good life in the house. Geza already knew Emma Pillepich, but she’d always seemed a child to him. But by that time she had grown up (she was nineteen years old) and, unlike him, she was really passionate about events in the city, being among the first women to board the Italian ship that reached the porta t the armistice, and lying down in the road to stop the Legionaries leaving. Geza was really impressed by Emma’s energy in sorting out the house, and getting rid of those parasitical friends who had been eating and drinking at his expense. 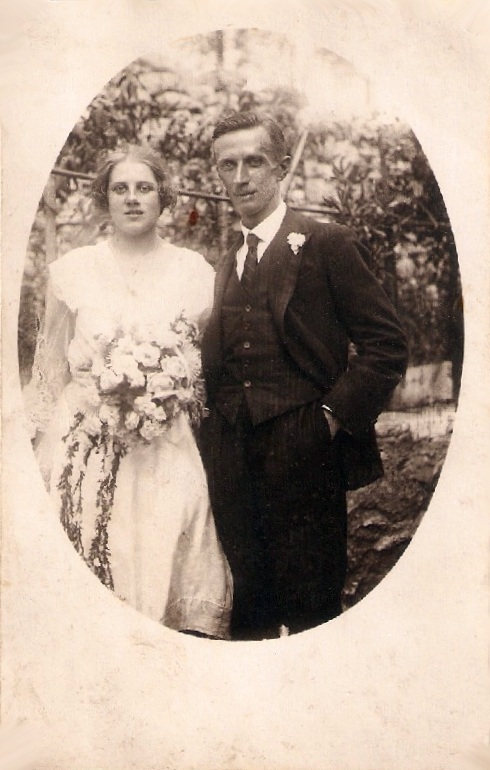 And thus it was on midsummer’s eve in 1922, in front of a bonfire in the grounds of the house, Geza declared his love to Emma, and the house would crash down on him if it were not true (it was a good job they were outdoors their children would always joke). 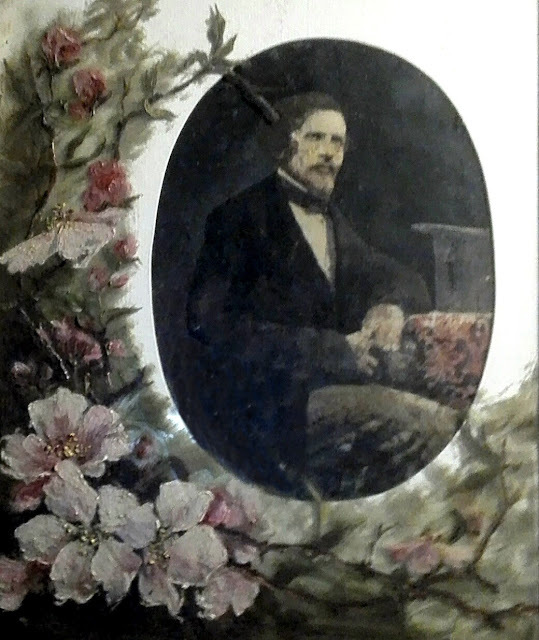 Emma’s family was Croatian and very different to Geza’s, with her father a master mason who was thrice married and with ten children, at least those known, and her father a countrywoman. None of them had studied, but they knew how to be decent people — the mother used to say that nobody’s too poor that they can’t give a smile, whilst in the Karpati household proper manners were very important. But the mere fact of having got Geza back on track made the miracle happen and so the two were married a few months later and he went back into the police, this time Italian. 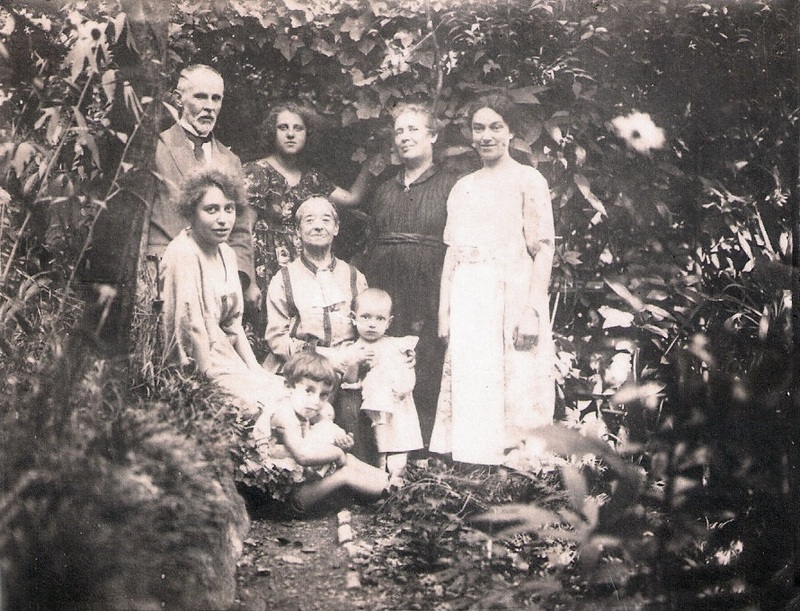 The oldest brother, Akos, had been already married for a few years to Elda Schednitz, sister of the manager of the electricity company, a well to do family, and they already had two daughters: Erna born in 1919, and Nedda two years later. Mary graduated in medicine and was going to marry a dentist, near Trieste. Only Pia wasn’t ‘settled’, as one used to say of unmarried children. 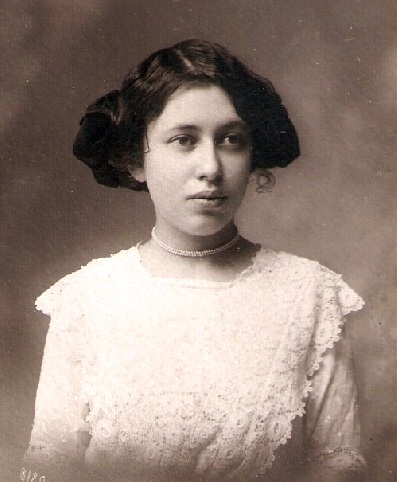 At the end of the war she was the only member of the family who preferred to identify as Hungarian and she left for Györ to be a French teacher. She was probably the best looking of the family, she painted lovely pictures, she sang and she played the violin. She came back several times to see her family, but she never married. Soon Geza and Emma brought into the world their own children, first Mirella in 1923, Giorgio a year later, and Giovanni the year after that. Finally, in 1933 the last, Giulio came. Meanwhile, with the help of Akos who was progressing in his career, Vittoria had achieved the last of her goals, buying a large house with a private internal courtyard. It was on three floors. In the middle one she lived with György; above them with a large bathroom and balcony Akos lived with his family, and on the ground floor Geza’s family, and, in one room, the now very old Augusta. So far the story has been told, but now onwards the younger children tell their own stories, even if they don’t always tally. Great Grandmother Augusta had been given the nickname granny-two, to distinguish here from the real grandmothers. She always wore black lace over her hair and a white lace jabot, fixed with a pin to the collar of her dress. By now she was tiny and to the children her face seemed a bit ugly and shrivelled. She was still attached to the formal style of the Schiff family in Milan, which she had probably sought to preserve in her own life, insisting that one should dress at 11 to receive visitors. She stayed very much in her own room, furnished with old drawing room furniture which always seemed to be on the point of disintegration, and with an iron bedstead, lacquered in black and gold. It must have been 1929, when she had lived a long life (about ninety years) and by the end she had seen many problems settled, and her family flourish again. One evening she felt a little unwell and Emma helped her to bed, leaving a bella t her side so she could summon help if she needed to. She didn’t ring, and in the mornng she was found in the same position she had been left in the evening. There is a gypsy saying that saints die that way. Following granny-two’s death it was grandad Giorgio who became the head of the family, he now being eighty or older. He was Giorgio and no longer György, as all names had been ‘italianised’. Thus Akos became Agostino (or perhaps Augusto in memory of granny-two; both versions survive, because he was always known as Akos by his family). Geza, who also was always known by this name by the family, became officially Vittorio, in honour of his mother. Grandad Giorgio by now had pure white hair and beard, wore metal-rimmed glasses and had a shawl across his knee. He was kindness personified. At heart he remained a teacher, and it was he who taught many of his grandchildren to read and write, sat next to him at the table, firstly with a large primer and later their first school text books. He was patient, he spoke calmly and with a gentle voice, and if they were good pupils he would reward them with a story. As already mentioned, in Fiume people spoke the local dialect. Speaking standard Italian was almost considered eccentric by children. ‘Why are you talking posh?’ they said to those who tried. But Grandad Giorgio knew it really well and it was thanks to him that more than one grandchild learnt to speak it confidently. 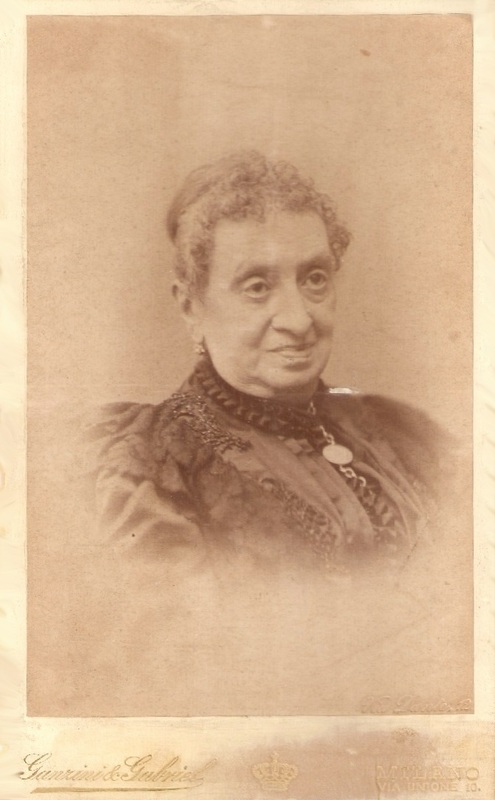 Nonna Vittoria, although she got on with Elda, Agostino’s wife, on the other hand did not get on well with her daughter in law Emma, inasmuch as for her children she stayed the formal ‘Nonna Karpati’. 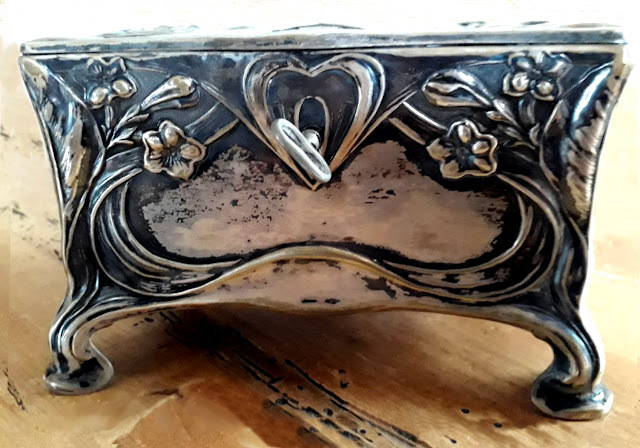 However, still being careful with money, at new year, when traditionally children went bearing an apple to to give their good wishes to family members, she would slip them a silver five lira coin, a considerable sum in those days, even if she did advise them to save it, in case of illness. Each morning she was in the habit of reading the ‘Vedetta d’Italia’ newspaper, she continued to speak Hungarian and German, as well as a litle Croatian, and even helped her granddaughter Mirella to translate and comment on a work by Grillpanzer for her secondary examinations. However, Nonno Giorgio’s health was gradually deteriorating (arteriosclerosis or Alzheimer’s). He was no longer recognising the house, he wanted to escape, kept under control by his wife, against which he protested, stubbornly refusing to accept limits and controls. He died on 25th January 1932. Soon after aunt Mary also died from a tumour, having given up her work and her husband, retiring to her home and hoping till the very end for a miracle that never came. Meanwhile the grandchildren were growing up. Agostino’s daughters were becoming young ladies, and Nedda in particular excelled at school. Vittorio’s children (the last one, Giuio, had been born) had a craze for Salgari’s thrillers, including Mirella. As the eldest she always took the role of Sandokan, the pirate captain, when they played, especially during long summer holidays at the seaside. 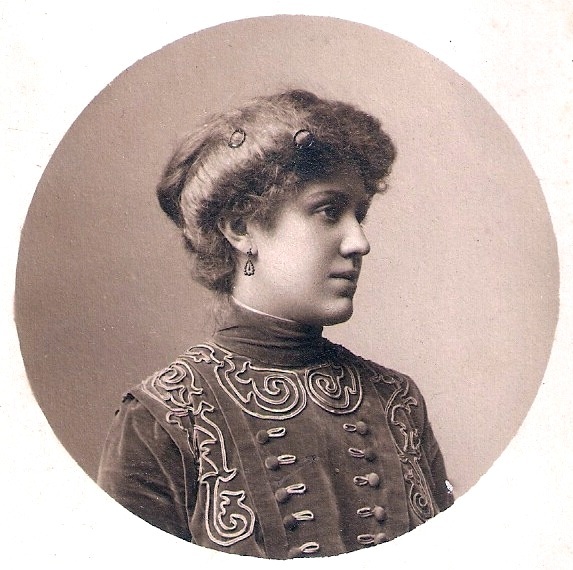 Amongst the adults, Pia had succeeded in becoming director of the Hungary Radio children’s choir, in recognition of her talent in the musical field. Agostino had become manager of the naval shipyards and he was often away giving advice at Taranto, La Spezia, Bremen or Hamburg. By now Vittorio had been promoted to a high grade in the police force. However, he could be described as a ‘good cop’, reluctant to not give a second chanceto somebody who had erred for a first time or through necessity. Above all he was honest and upright, believing that he should set an example to the family’s children. He had never taken up membership of the Fascist Party, but he received it automatically because of his job, otherwise they would have had to sack him. Times had changed, there was war in Spain, the Ethiopian campaign, and the sanctions against Italy. Every so often schools sent their students to make a bit of a din outside the French and English embassies, which they saw as an unexpected extra day’s holiday. But the relentless propaganda aimed at young people was changing things and some began to display even in class the Hitler Youth badge. Then the Jews started to disappear from school, firstly the teachers and then the pupils and their families. In the Karpati family politics were not discussed, and differences of religion had always been normal in that city. The youngsters didn’t understand what was happening. The adults perhaps knew, but nobody talked about it. Some had left but others began moving to Sicily. Discomfort with these events, and a request to collaborate in a fake fur trade from Hungary, organised by government officials, led Vittorio Karpati to request a transfer. 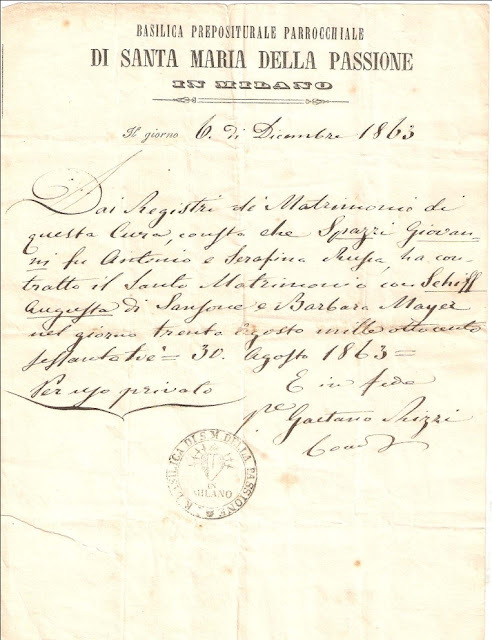 He was sent initially to Fano, as a superintendant, and then to Bolzano, as a translator for German officials, because it was the period of the ‘options’ and Vittorio, in the family tradition, understood and spoke well several languages. For those unacquainted with the Alto Adige, the northernmost part of Italy, on the Austrian border, and which German speakers call Südtirol, it is difficult to understand the problems of ethnic coexistence that were created in that zone between the two world wars and still continue today, albeit in a milder form. Beyond the location of the natural boundary, where the water flows down, was born the County of Tyrol, one of the main German domains of the middle Ages. Until 1918 German was the language here, by the faithful subjects of the emperor Franz Joseph. (It should not be confused with Trentino, which has quite a different story.) Following victory in the First World War, an attempt was made to ‘italianise’ the region, encouraging immigration especially from rural areas of the Veneto, although only in the lower valleys and the three main towns was this significant. After the Anschluss with Austria, Italy and Germany made an accord that German-speaking South Tyroleans should choose between moving to the Third Reich, or staying in Italy, but adopting Italian language and culture, including in schools. These were the so-called ‘options’ and around 75,000 people emigrated into the Reich by 1940. In many cases there were some who took advantage of the necessity to sell houses and land to enrich themselves. When Vittorio’s family moved to Bolzano however war had already started. Initially it seemed that the war would be distant, quick and victorious, but in 1941 it suddenly came near, especially at Fiume. In April Hitler invaded Yugoslavia in just two weeks, and made Ante Pavelic head of the new Nazi Croatia, who with his Ustashe led a merciless regime of political and ethnic repression, with thousands of deaths. Fifty years later the war in Kosovo reignited the unextinguished hatreds created by these events. Italy, for its participation in the invasion, was rewarded with territories bordering the Adriatic, in Venezia Giulia and Istria. The province of Fiume was enlarged, to include the Croat areas of the port and the rural hinterland, all inhabited by Croats, and whose hostility grew towards the Italians. Moreover one of the largest torpedo factories in Europe was set up in Fiume, thus making it an important potential military target. In practice life was becoming increasingly difficult, and Akos sent his mother to stay with his brother, where the situation was less threatening. At that time Bolzano was only affected by problems of rationing. Petrol had become precious, many foodstuffs monthly became more expensive and difficult to find. The Karpatis had found a house near the mountain, with a small vegetable garden, which was a great help. Even Mirella, having finished high school, started doing some work at the school to help with the many household expenses. What had changed was the acceptance of the war, what was its purpose and its reason. Despite the propaganda nobody felt that victory was near, especially after the beginning of 1943 when trains began to arrive in Bolzano bringing back home soldiers who had been sent to fight in Russia, and who had managed to survive that tragic retreat in the frozen winter. It was a sad and full of suffering, as was realised by the young students of Bolzano who attempted to welcome them. And it was at just that time that Vittorio was asked to go back to Fiume as chief constable, in other words head of the police, the crowning of his career. He had doubts, but finally accepted, but leaving his family behind in Bolzano while he ascertained the circumstances better. Soon afterwards the eldest son, Giorgio, was called up to fight. Fascism fell, but above all the kingdom of Italy fell, at least for those in the north. Indeed, on 8th September 1943, when the English announced the fall of Italy sooner than anticipated, they found nearly all the Italian commands unprepared, whilst the Germans had withdrawn many of their troops from the end of July, and had their plans prepared ready. In the power vacuum and the lack of orders on how to respond a state of complete confusion was created, leading to the surrender or disintegration of most of the Italian armed forces of the Centre North. Both the area around Fiume and also of Bolzano passed under the direct control of the German authorities and life really did change. In Fiume whilst part of the army deserted, the others surrendered to the Germans, rather than risk the vengeance of the Croatian partisans, and Vittorio was on his own and had to decide what to do. Somebody claimed that some partisans would get him a free pass. He knew anyhow that as head of the police they would certainly have sentenced him. Instead, he got his brother to give him some civilian clothes and left the city on foot. Agostino awaited the outcome of events, as his family and all his possessions were there. The Germans arrived and he was arrested, because he had never joined the Fascist party. He was lucky that the problem vanished when it was realised he was an expert in his field, and he had never had any interest in politics. 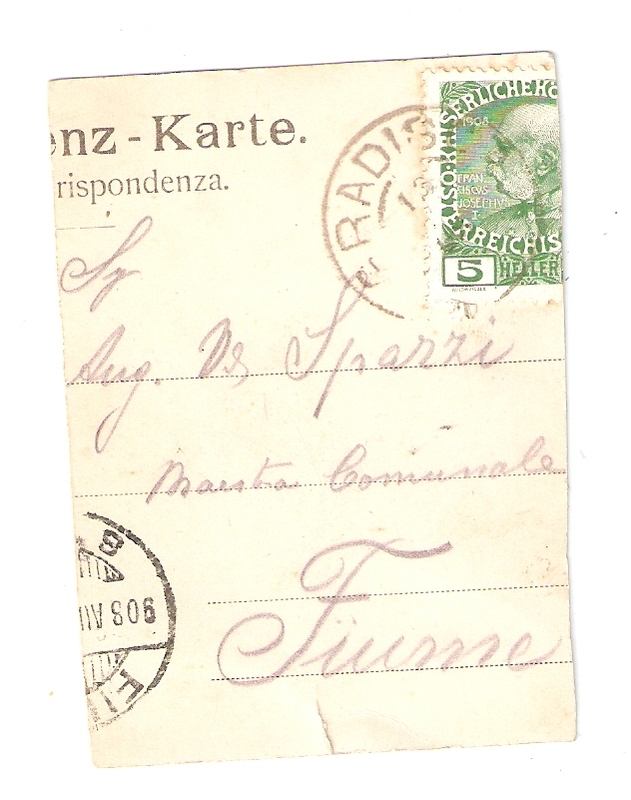 Giorgio had just got back to his barracks at Bressanone when the armistice was declared. They were two thousand men and their commander ordered them to surrender to fifteen Germans. With hindsight, they all felt that they should not have done so, but nobody understood what was happening, and as good soldiers they trusted their officers to know better than them what to do. Instead they ended up on a train heading straight to Germany, and for a while nobody at home knew anything about their fate. Similar events took place at Bolzano, where thousands of men were rounded up in the football stadium or in the valley of the Talvera river, overseen by Germans, awaiting their fate. Seeing them in this state encouraged many civilians to do something to help them. Some girls, including Mirella, got organised in order to find civilian clothes for soldiers being treated in hospital to help them escape, and took food to those on the river banks, despite the menacing presence of the guards, and passing food and especially water into the wagons that were passing through the station, carrying the prisoners away from Italy. In exchange they were given letters and notes to be forwarded to their families. In Bolzano people generally did not know what to do. The schools had not reopened and, from being only Italian, they had suddenly become all German, just as in the cinemas and as it was becoming in offices, where only German-speaking or bilingual staff could work. In the Karpati family they knew nothing about their father or his eldest son, and nobody had any work. The tragic situation, including economically, lasted till November, when Vittorio finally succeeded in getting back. It had taken him almost all that time to get from Fiume to Trieste, just sixty kilometres, travelling on foot or some wagon. But there war had broken out between Croatian partisans and the Germans, fierce and cruel, and won without mercy by the latter. Being able to speak both languages was essential to enable his survival. At the end of 1943 the bombing of Bolzano started, as it had become a strategic point for the arrival of fresh German troops via the Brenner. Although not many were killed, in the thirteen bomb attacks that the city suffered more than fifty per cent of the building were destroyed or damaged. The Karpati’s house was fortunately in an area well away from the strategic targets, but because of this it was requisitioned by the Germans for use as offices. Just because Vittorio had managed to reenter the police force, although in an inferior position, they let his family carry on living there in a few rooms on the ground floor. Mirella, who was completely bilingual, was working for the council, and Giovanni had started work at the Lancia factory, definitely better than being sent to join the German army. Giulio, the youngest, was only ten years old, but he wasn’t a child who normally just think of playing at his age. Their mother Emma’s mind was focussed on one thing: her son about whom nobody knew anything. But eventually some letters arrived: he had been taken to Hessen and allocated to a so-called Arbeits Kommando, an enabling team which was required to work where needed. If nothing else, he felt, the work helped to pass the time, even if their hunger was great and a piece of bread in the morning and some turnip soup in the evening were decidedly little to stave it off. Fate is sometimes strange. The first task he was given was to shift rubble in a city whose name at that time meant nothing to him, but which for us is very familiar: Mannheim, the very city from which Samson Schiff had left for Trieste a century ago. 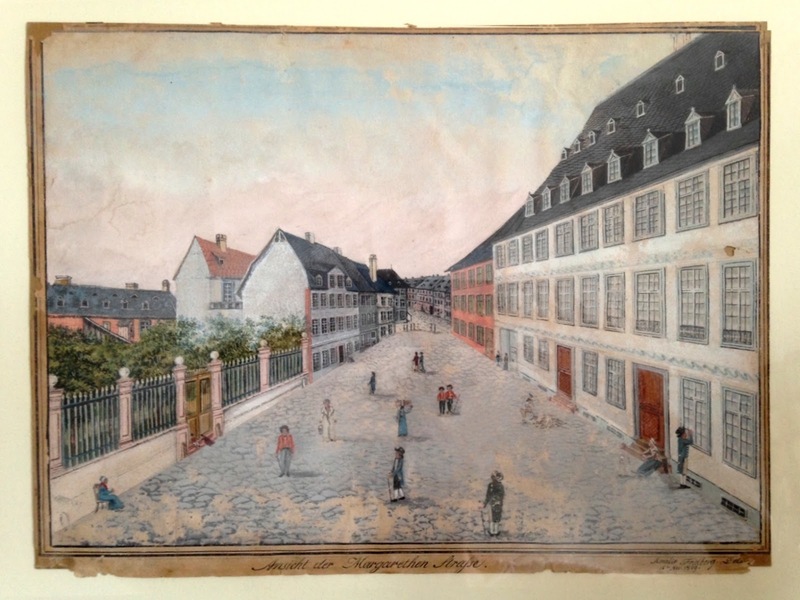 When years later he saw a small coloured engraving of the streets in the town centre which had been inherited from Augusta he recognised the spot immediately and linked it to its origins. When their mother Emma had this news of her son on one hand she was definitely relieved to know he was still alive, but on the other hand she decided that she had to do something. The drive was rekindled in her that she had in crises, and she started a stubborn search to seek out good food to send Giorgio, obviously acquired on the black market, even though not much of it reached him. She matched practical help with spiritual support, with many prayers and pilgrimages. The following year, 1944, when the first deportees began to return, she went daily to see them in hospital. I’ve no idea how but every so often she managed to get some scarce white bread, intended for the German command, and took it to them, with some milk that she milked from two goats that she kept in the garden. When people asked her why she did it, she said that she hoped somebody would do the same for her son. There was no longer any decent food to eat, and for clothes everything was recycled and reused. Morale was at rock bottom and the feeling that everything was disintegrating, even in the German control, became increasingly more apparent. Despite the risk, it was whispered that people were accumulating weapons, people were listening to secret radios, people were hiding prisoners who had managed to escape from Germany. Help for fugitives was even organised in the Carmelite convent, and some were accompanied into the mountains by Mirella, pretending to go on a lovers’ walk, until another ‘girlfriend’ met them to follow the path to the Trentino in Italy. Vittorio had managed to get into a minor office and got many sick notes, either to give as little help as possible to the Nazis, or because his health was indeed much worse, mainly because of back problems resulting from a serious car accident. Then towards the middle of April the German retreat started, initially slowly and orderly, then increasingly massive and uncontrolled. The Americans and English calmly went up the valley of the Adige, trying to avoid pointless confrontations and deaths with those withdrawing. The Germans left a strange vacuum behind them, which was gradually replaced, amidst doubts and uncertainties about how to move in that strange territory, where it wasn’t obvious whether the German speakers were friends or foe. In 1944 all this group had been asked whether they wanted to belong to the Republic of Salò, even if that might mean that they become workers in Germany. Only two people accepted the invitation, all the others had the courage to refuse, even though they were standing before two armed soldiers. Then March 1945 came. He was on the French front building fortifications when the retreat started. He had a slight head wound, and his friend had a leg injury. Two other prisoners had helped them to keep going and walk, following the troops who were withdrawing. It was enough to limp and slow down till the others moved ahead without noticing them. Wandering through the rubble, lost souls, and Americans who were advancing but who didn’t care about those six ragamuffins, they finally managed to reach an American base in France. Then little by little, in trains, hitching lifts and finally on foot, they reached the road that led them home. He saw a lad who was looking at him, but he carried on. He hadn’t recognized him, as lads change a lot in two years, but his brother Giulio did, and started calling their mother. Emma looked out of the window annoyed. But when she saw Giorgio she rushed out, oblivious of the rain, hugging and kissing him, after all that time that she had spent waiting for him. But we should go back to the closing days of the war, this time in Fiume. On 3rd May the city had been occupied by Tito’s Slav troops after the Germans had left, destroying what was left of the factories and industrial units that had survived the intense English bombings. Tito and Russia’s strategic objective was to occupy as much territory as possible towards Venezia Giulia before the English and Americans arrived. The Italians didn’t count in this game between the great powers. The tragedy was that in Fiume, as in all the territories that were thus occupied, two attitudes combined, both of them negative: revenge for the abuses and violence suffered at the hands of the Fascists and Nazis, and the determination to block any attempt to put in question the establishment of a socialist government controlled by the Slav population. It was soon clear that anybody who didn’t agree would be killed or disappear, and that OZNA, the political police, could act as it wished, above the law. It was in these circumstances that Akos Karpati was rearrested, this time because he was assumed to be a Fascist collaborator. This time his prison sentence was long and tough, and only in 1946, after the workers’ evidence that he had only been doing his job and was politically trustworthy was he able to go home. However he was very tested physically and died a few months later. At that point his widow Elda left the city with her two daughters and went to Bolzano, waiting to find out what was best to do. 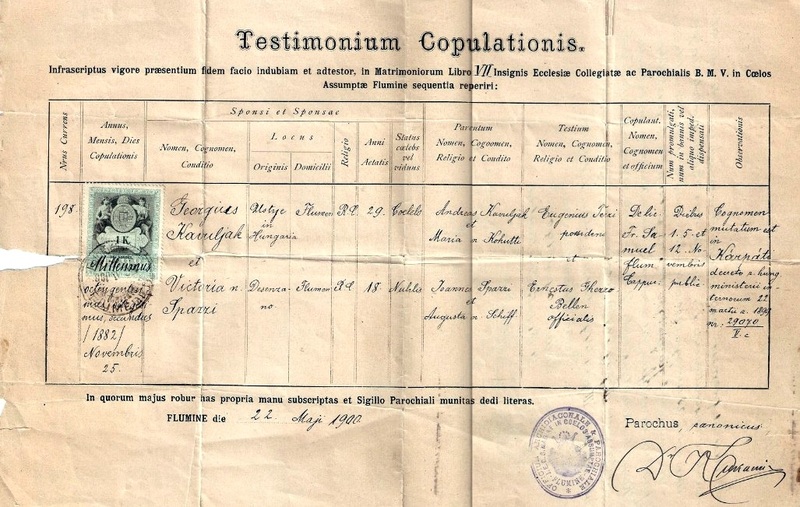 At that time a good number of Emma’s Croatian relations made the same choice, to come to Italy, showing that it wasn’t just a question of ethnic origin (though it should be mentioned that several women had married Italians). There were some who, like her niece Liliana, a lovely girl, completely vanished, after being seen for the last time one morning as she was washing the steps of the courtroom. Whilst what remained of Akos’ family went to Bolzano, some went in the opposite direction. It was Nonna Vittoria Karpati who stubbornly wanted to go back to the house she had bought for her family so many years before. She managed to get there, and obstinately stayed as long as she could, until 1949. Despite the hopes of the Italians that Fiume should remain at least self-governing and multiethnic as it had been for centuries, the politicians in Rome saw clearly that it would be enough should stay Italian, and even that did not happen until 1953. All that happened was that the same rules were applied in Istria that Mussolini and Hitler had agreed ten years earlier: those who conformed could stay, and the rest had to surrender to the state most of their possessions and leave for Italy. There they should have been welcomed as brothers, whereas the majority ended up in collecting camps composed of barracks, often viewed with suspicion by the local population, who saw the mas pro-Fascists fleeing Socialist Yugoslavia. But no doubt it’s almost certain that De Gasperi, then head of the government, must have been thinking about another problem: the sovereignty of the Alto Adige had also been put into question by its German inhabitants, plus those who had opted for Germany but who now wished to return to their birthplace. 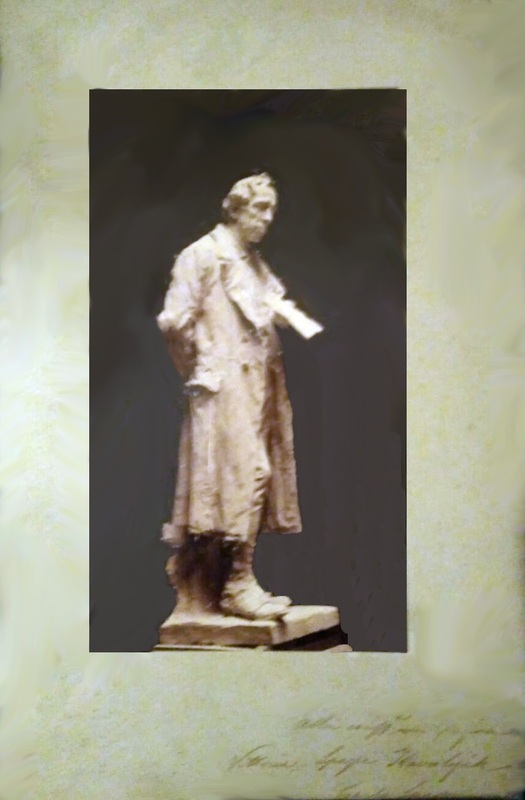 He entrusted his trusty colleague Andreotti to sort out the problem, and it was thus that many refugees from Fiume ended up back in Fiume, where they formed a real and proper colony, though pro-Italian, composed of many professionals, who in a few years succeeded in reaching high ranking positions and to favour the recruitment of other Istrians and natives of Fiume. 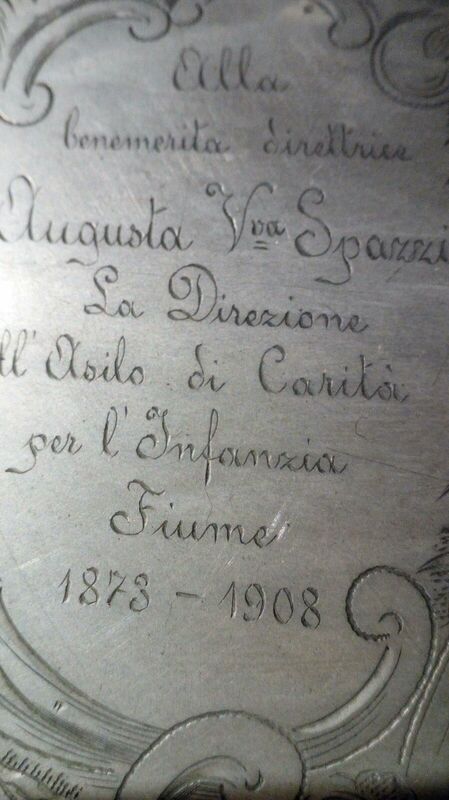 Vittoria Spazzi-Karpati was amongst the last to leave Fiume, and definitely the last member of the family to do so. She had to surrender her home to the State and she left with very little. Naturally she went to stay with her son in Bolzano, but things had changed since she had left four years earlier. Mostly because she had deteriorated in body and in health now that she was 85. Not long after she had to go into a nursing home for sick old people. Vittorio found one near Trento and also paid for a woman to care for her, since she was now unable to leave her bed. It was sad and painful to go and visit her, and see her still sound of mind but sick in body. It took nearly two years until she died, for her at long last, on 25th July 1951. But what had been happening in Vittorio Karpati’s family after his mother had gone back to Fiume? As already mentioned, Akos’s wife Elda had come with her two daughters. But Iginia, one of Emma’s sisters, had also come seeking shelter with her husband and two children, while they waited for things to settle down from the immediate post-war confusion. In Italy it was above all post-civil war, where even a neighbour could be the enemy. The Karpati home had become so crowded that for a while Vittorio had to sleep in the porch. Sharing wasn’t at all easy, with frequent quarrels about sharing costs and fitting in with each other’s needs. Then, little by little, things began to settle down. Elda and her daughters moved to Milan, where Erna became a teacher of literature and Laura graduated first in mathematics and subsequently in medicine. Not long after Iginia’s husband found work again. They found a house to live in and peace returned to the home. Meanwhile Vittorio had been promoted to Deputy Superintendant, a satisfying reward after so many hassles. As for the children, Mirella unfortunately lost her job, as people were reinstated who had been made redundant with the arrival of the Germans. She started supply teaching in mountain villages, even though this meant getting up at dawn and coming home in the evening, often walking long distances between villages to reach more schools, which was fine in the summer, but cold in winter and wearisome in spring when the snow was melting and she often had to trudge through the mud. Giorgio had finally found a job with the Bank of Italy, but this meant he had had to move to Trento. A job with the local authority had finally come up for Giovanni. The last, Giulio, had been sent to the military college at Modena, not so much as to follow that as a career, but so he could study engineering for two years free of charge, before following that route. In practice Mirella had also already enrolled at university, although it was wartime, but her father had been quite clear in saying that he had to prioritise his sons’ education. This was the reason why she’d started to look for a job, so she could finance her own studies, even though nearly everything went to support the family’s expenses. His wife Emma went into a deep depression, it seemed as though her life had ended too. For months she was there, apathetic, unwilling to see anybody. To cheer her up Mirella paid for a trip to Lourdes, as her mother was very religious. When Emma came back she seemed reborn, the experience had rekindled in her the desire to do something. She joined UNITALSI, the voluntary organisation that supports sick people on pilgrimages, and a few years later founded a new branch in Bolzano. She organised fund raising, in front of churches she sold carnations that she had specially sent from San Remo. When she donned her uniform she was transformed, and they called her ‘the colonel’. This was her new mission in life for many years, until, just as she came back from a pilgrimage, she suffered a heart attack. Forced to give up all activities, her children found her a place at the Bürgerheim in Bressanone, where she had excellent medical support and her son Giulio was able to visit her every evening on his way home from work. When the final crisis came, she asked her son to burn the letters that Geza had written to his ‘May rose’ during the years they had been together. Even though in public he had always been reluctant to show emotions and feelings, anybody who had managed even to read a little of ths letters would have been struck by them and how full of tenderness they were. Emma passed away in 19th August 1988. Let us go back a little to after Vittorio’s death. Only Pia survived from that generation, the elder daughter, the one who lived in Hungary. Only her nephews and nieces were left of her family in Italy. Moreover, her age, and the hardening of relations between Western Europe and the East stood in the way of travelling to Italy. She wrote every so often but they never saw her again. Only news came of her death at the age of eighty on 2nd February 1965. The story of those two generations ends with the deaths of Pia and mamma Emma. I shall add only a little about the next generation, as it would be right to first check what they feel about it, and what they want to share with their children. 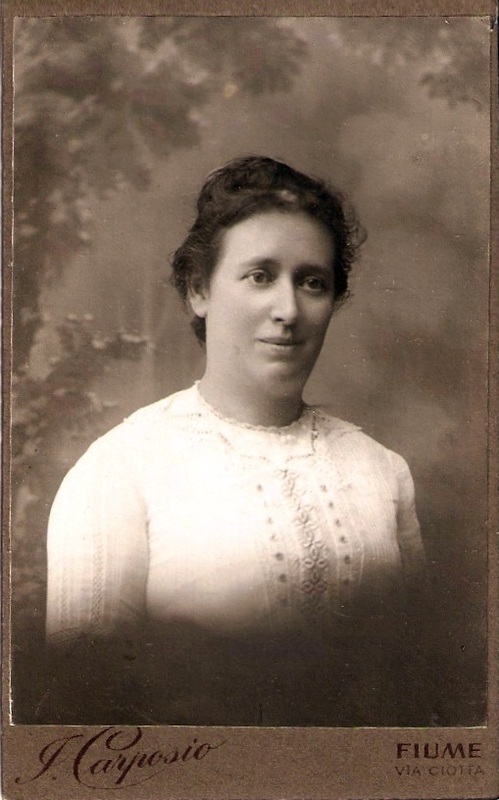 Erna, Akos’ elder daughter, settled in Milan, where she eventually married the man she had long been in a relationship with, and who brought two daughters with him, one for each of his two previous marriages. Nedda, after two degrees, started in her profession as a doctor, firstly at Ostia, near Rome. However, when her little two-year old daughter Licia died, she in desperation decided that if she couldn’t care for her own child, then even less could she care for the children of others. She abandoned medicine and took a job teaching mathematics, eventually becoming headteacher. In retirement she worked with Caritas to help problem children. Passing to Geza’s other children, Giorgio worked in the Bank of Italy for twenty-four years, moving to Perugia and venice before being able to return to Bolzano. In retirement he discovered Lake Garda, which reminded him of Fiume in some ways, the city which had always been in his heart. He moved there, passing his last years at Torbole and later at Arco. He was always reserved and a bit solitary, quite similar in character to his father. Giovanni, who is always called ‘Nini’ by the family, lived a quiet life as a council employee at Bolzano, but his passion was always travel. He collected books and showed photographs of faraway places where he had been and where he would have liked to travel. He was perhaps the happiest and most extrovert of the family. 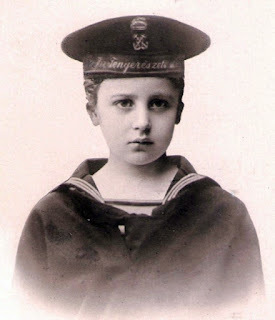 Giulio, the youngest, was perhaps the one whose life most affected by Vittorio’s death, while he was still at the military college. He didn’t become an engineer as had been expected of him. Instead he followed a military career, ending as a colonel in the Alpini, the Italian mountain troops. The rank gave him the right to wear a white feather on his hat instead of the usual black feather, a sign of distinction for ‘the other officers’. I wonder if he knew that in the troop it was seen as the easiest way of knowing who would be put on guard duty. He worked at brigade headquarters in Bressanone and it was he who was near to their mother in her last days. Lastly we come to Mirella, because her life was the most out of the ordinary. Gradually she began to teach in schools less deprived than those mountain schools where the classes were all ages. She taught at all levels, from primary (which always stayed her favourite, because there children’s intelligence develops amazingly), to secondary, and finally university, as a lecturer after receiving her qualification in education. But in 1959 almost by chance she came into contact with a world that nice people prefer to avoid, that of the gypsies. She sought to understand it, to comprehend the social mechanisms of their lifestyle, and their history. A strange world opened up to her, crossing all the borders of Europe, with its roots deep in the Middle Ages. She discovered stories of persecution and violence that were hidden, such as their holocaust, like that of the Jews. Perhaps she inherited from her mother her passionate commitment, but from her father his rationality. She never hid the negative aspects of their lifestyle, including the subordinate role of women to men. But also there was a culture and an artistic tradition waiting to be discovered. Above all she felt that it was not possible to live together without understanding them, believing that they just need to adapt to our lifestyle. For over thirty years this was her main preoccupation, which saw her help found Opera Nomadi in 1963, and then in 1965 she became editor of the jounal for gypsy studies ‘Lacio Drom’ for many years. She was also the national coordinator for gypsy children’s education. She moved to Rome in 1970, and had many links with the world of politics and the Vatican, to promote initiatives for integration and understanding. She wrote twelve books on these issues, and translating many others, thanks to her excellent knowledge of many foreign languages. She travelled throughout Europe, personally visiting many Roma communities. When she reached seventy she decided it was time to retire to a small house in the mountains, passing the baton to younger people who had worked alongside her. She didn’t like growing old, but she just had to accept what destiny intended. Of the many awards that she received in the course of her career I shall mention only the last one: on 30th January 2005 the Rome Jewish community awarded her the diploma ‘Guardian of Remembrance’ for her studies of the gypsy genocide. There is a striking resemblance between her story and that of Paolina Schiff, the person who appears at the beginning of this story. She wrote about her as being emancipated and advanced for her time, who refused to be supported by a man. Furthermore she fought for a difficult cause with determination and intelligence, creating a network of contacts. As well as fluency in several languages, she was cultured and an art lover. At the end she asked to be cremated like Paolina, though nowadays that is much more common. Singular too is the date of her death on 5th August, just one day before that of her distant relative. I have dedicated more space to Mirella because she was my mother. This generation has also ended its journey through life. Firstly Akos’ children in 2000, Giulio’s in 2009, and finally Vittorio’s first three children, Giorgio, Nini and Mirella, one after the other, just as they were born in three years. The story ends here with them, though obviously life has carried on. There are eight children and nine grandchildren plus one on the way. Even if some of us have already completed a good piece of the journey and should have stories to tell, the majority have their life ahead of them before they write it down.